19.02.2014, 23:05 One of the nicest overhead map i've seen! The map looks pretty epic too, although it hits FPS a bit too hard and the ground textures need some more work imho. 20.02.2014, 11:55 Heh ty dae, I did the overhead in like 3 minutes out of a screenshot :D And hoff needs this for the movie or something so technical stuff goes aside. 25.02.2014, 09:09 Try loading it in the editor and then pressing UNDO once, and saving again. 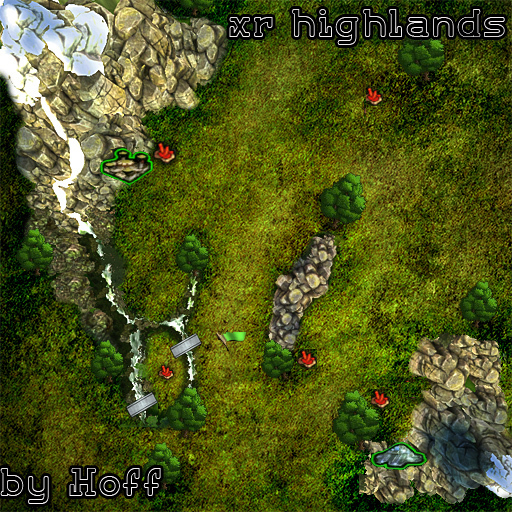 26.02.2014, 07:48 Just delete xr_highlands.s2z in your savage/game/world folder, download it again from here and you are good to go. And yes, use devworld, else it crashes. 08.04.2014, 18:11 With fireflies :). Nice!